West Kowloon Station is nearing completion. How will the major infrastructure project fit into an area that is already crowded with an eclectic mix of architectural styles? 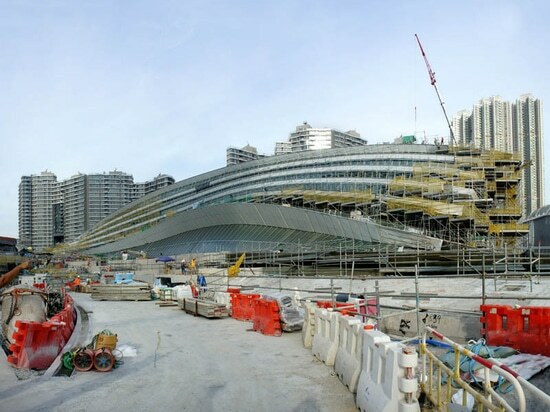 It has risen from the shores of Victoria Harbour like a beetle emerging from the ground, and now the finishing touches are being put on West Kowloon Station. When it opens at the end of 2018, it is expected to serve more than 109,000 passengers a day, making their way to the mainland on a fleet of new high-speed trains. By now, almost everyone in Hong Kong has heard of the Express Rail Link project, which has been dogged by controversy since its inception in 2009. 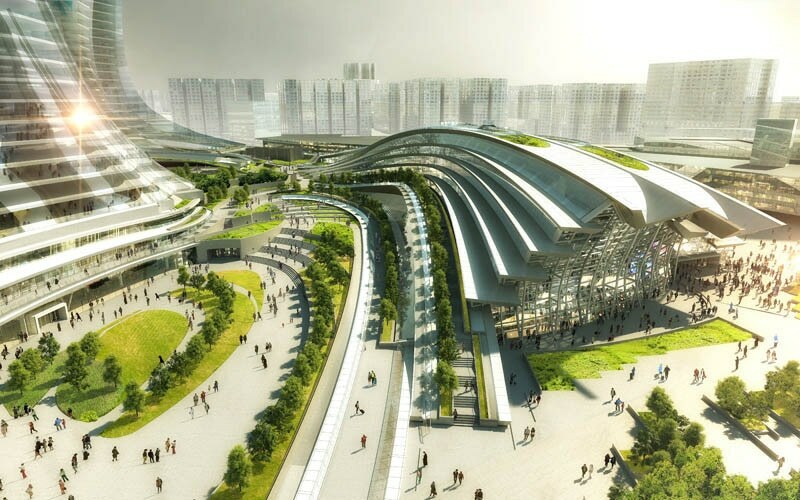 But few are familiar with West Kowloon Station, which will serve as the local terminus of a high-speed rail network that extends across China. 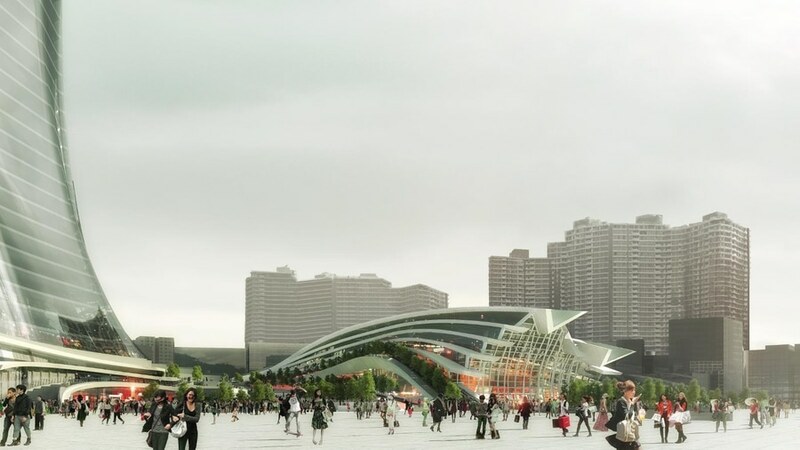 "We wanted to do something extremely civic-minded," says the station's architect, Andrew Bromberg, a global design principal at Aedas. "It's a gateway to Hong Kong. 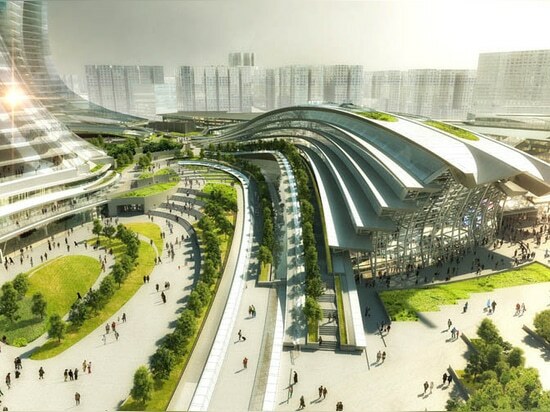 We felt that the station should be an extension of that, so when people arrive in the city for the first time, they feel they are in Hong Kong." 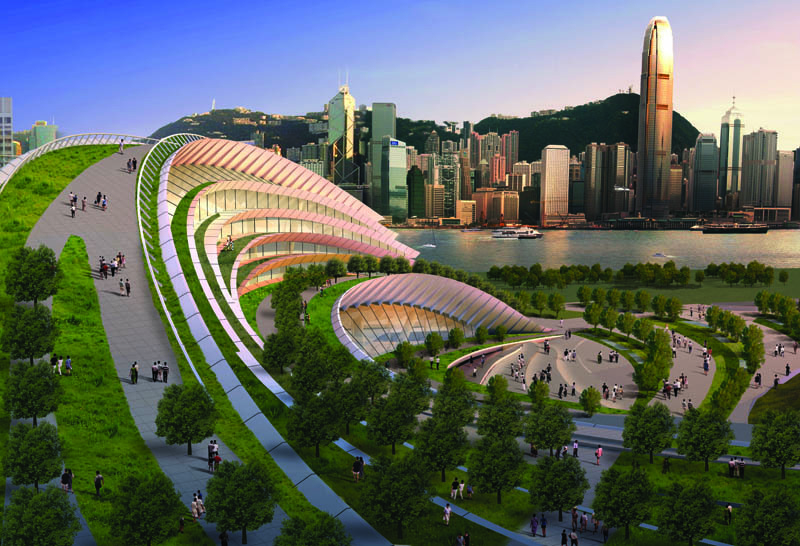 West Kowloon Station enjoys a spectacular location with a panoramic view of the Hong Kong skyline, but when Bromberg's team entered the competition to design it, they encountered a problem: the station is mostly underground, with passenger concourse and platforms 20 to 30m under the surface of the earth. "I was very nervous about the experience people have in below-ground stations, which is they don't know where they're at until they get into a taxi and it eventually goes out onto the street," says Bromberg. His solution was to create a large volume capped by a shell-like dome that rises from the earth, capturing daylight and sending it deep underground. 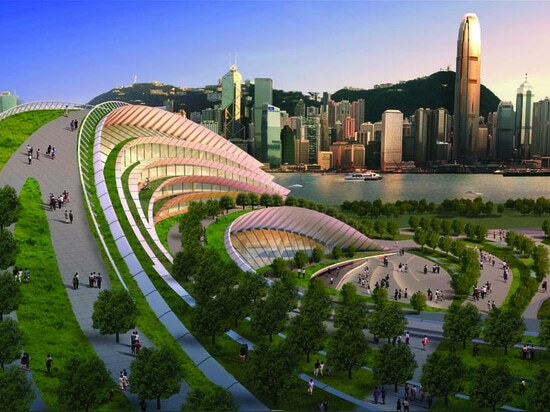 Even as they stand on the subterranean concourse, passengers will be able to catch a glimpse of Victoria Peak and the city's tallest buildings. In order to keep the space open and airy, Bromberg minimised the number of columns needed to support the vast atrium. "You obviously want the wow factor – you come in the front doors and you want to be impressed," he says. 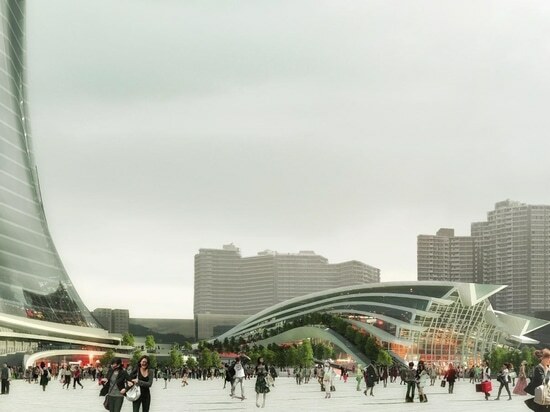 His team devised a system in which four to five columns converge and branch out, giving them an organic appearance that complements the sweep of the station roof.